LOUISVILLE, Colo., March 17, 2014 – Inovonics, a leading provider of enterprise life safety and specialized commercial wireless systems, today announced that distinguished author and thought leader, Barbara Coloroso, will hold a book signing at Inovonics’ booth (#16109) during ISC West 2014 Las Vegas, Nev., for her bestseller, “The Bully, the Bullied, and the Bystander: From Preschool to High School--How Parents and Teachers Can Help Break the Cycle.” The book signing for her bestselling book will take place on Wednesday, April 2 from 2 to 3 p.m. at Inovonics’ booth on the ISC West 2014 trade show floor and will include refreshments. Coloroso also is scheduled to participate as a panelist earlier that day on the “Beyond School Shootings: Everyday Violence in K-12 Schools and Methods for Prevention” panel presentation – as part of ISC West’s series of Education security tracks – with several other school safety and security experts on K-12 school violence. The hour-long panel begins at 11:15 a.m. PST. 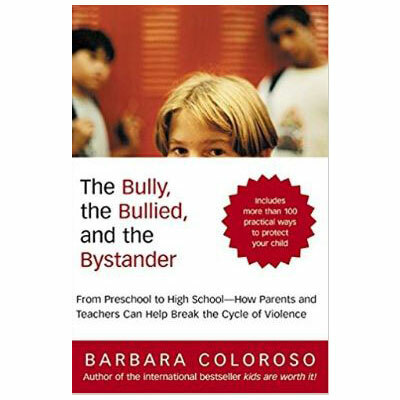 In addition to being a best-selling author, Coloroso is a public speaker and consultant on parenting, teaching, school discipline, positive school climate, bullying, grieving, non-violent conflict resolution and restorative justice. She has appeared on numerous television programs and has been featured in many top national and international publications. During the Inovonics panel presentation, Coloroso will share her successful approaches to school violence prevention.